Scottsdale Recovery Center receives quite a bit of press from local media due to the deep expertise of our staff and our strong reputation in the community. We are known as the leader and expert in addiction and recovery addiction treatment in Arizona and we’re proud to be in that position! Be sure to visit this page often to see what new press items are added! If you are a member of the press and would like to contact us for a story or comment, please use our Contact Us page and let us know how we can be of assistance. Scottsdale Recovery Center founder Chris Cohn was recently interviewed for The Arizona Republic, where he discussed why he founded Scottsdale Recovery Center and what sets SRC apart from other drug and alcohol addiction treatment centers. Scottsdale Recovery Center Owner Chris Cohn next to Scottsdale Mayor Jim Lane at Scottsdale Recovery Center’s September National Recovery Month. Having suffered through substance abuse addiction and coming out the other side as a changed person, I understand the affects addiction can have on a family. This is why I opened Scottsdale Recovery Center over 10 years ago. I wanted to help other alcoholics and addicts find a life worth living. Drug and alcohol addiction can be a love affair that exceeds even the love of a family member, friends or oneself. Scottsdale Recovery Center has been featured in the Scottsdale Health Magazine August issue for an article about self-care tips to prevent depression. Former addict Kevin Loughran talks About Demi Lovato’s relapse and the struggle with addiction with ABC 15 Arizona. Watch this inspiring segment featuring former addict Kevin Loughran who now works at Scottsdale Recovery Center on learning from relapse and giving back. ABC News 15 features his interview and the ongoing coverage of Demi Lovato’s overdose. Listen to one former addict’s story about struggling with addiction, and SRC’s Lisa Moody’s experience with other clients whose struggle is similar to Lovato’s during the ABC 15 news segment. SRC’s Clinical Director Lisa Moody discusses the ongoing struggle with addiction recovery with Fox 10 news. “Sometimes people just need a little tune-up”. Learn about the importance of reconnecting with the treatment community if you or a loved one experiences a relapse. Watch Fox 10’s news segment with Scottsdale Recovery Center’s Clinical Director Lisa Moody discussing addiction relapse and how addiction doesn’t discriminate after the Demi Lovato overdose incident. Scottsdale Recovery Center founder Chris Cohn was recently interviewed for Voyage Phoenix, where he discussed why he founded the addiction treatment and recovery center, the struggles of being a business owner, and what sets SRC apart from other drug and alcohol addiction treatment centers. Why Suicide Rates Are Rising in the U.S.
Get an understanding of what’s behind the increase in suicide rates with tips from Scottsdale Recovery Center Therapist Michelle Sproule on how to help someone who might be at risk. For other media interviews and information on addiction, mental health and recovery, check in to this channel often. Michelle Sproule, Therapist for Scottsdale Recovery Center explains to ABCNews15 why suicide is on the increase across every age group and why teenagers are especially vulnerable. For more information about mental health issues, drug and alcohol addictions, refer to this channel for news and updates. Chris Cohn, owner of Scottsdale Recovery Center, has tips for coping with a breakup and how to take care of your mental health. Scottsdale Recovery Center’s founder Chris Cohn featured in Crain’s, an online curated daily newsletter built around people’s interests and business needs, empowering them with a competitive edge every morning. Scottsdale Recovery Center has been featured in the Scottsdale Health Magazine July issue for an article about navigating sober dating. Check out the full article now. Scottsdale Recovery Center, a rehabilitation facility for adults dealing with drug or alcohol abuse, plans to expand within the next few months with the addition of three new facilities. Scottsdale Recovery Center’s owner, Chris Cohn, along with City of Scottsdale Mayor, Jim Lane, Ryan Checchi with Evolve PR, David Larimer, Program Director and Russell Ferrarra, CEO. The event was held at the Scottsdale Recovery Center campus and it was for National Recovery Month. We are honored to have the Mayor and the City of Scottsdale as vocal supporters of Scottsdale Recovery Center and of recovery in general. Read this great article featuring David Larimer, program clinical director at Scottsdale Recovery Center. Scottsdale Recovery Center is thrilled to be a large part of the recovery community in Arizona and across the United States and is always looking for ways to promote sobriety and recovery. Scottsdale Recovery Center hosted a fair for September National Recovery Month. The Mayor of Scottsdale, Jim Lane, spoke about being a supporter of SRC and of recovery in general. Don’t Drug and Drive! Scottsdale Recovery Center’s PD David Larimer talks about the dangers of drugged driving. 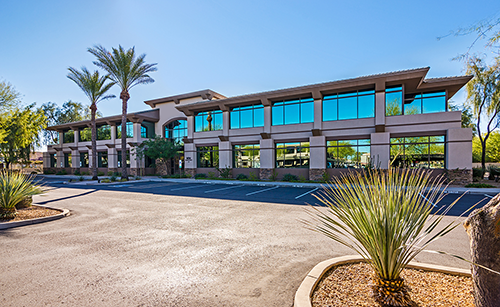 Scottsdale Recovery Center is Arizona’s source for prevention, education and treatment in the fight against opioid/ opiate abuse and other substance abuse disorders. We appreciate all the news channels, city officials and the State of Arizona that utilize us to help educate the people on the current opiate epidemic we are facing. We talk about getting into shape physically.. but what about your mental state? David Larimer from Scottsdale Recovery Center provides tips on how we can focus on our mental health in 2018. To view all recent media coverage, visit our YouTube channel!